Casino de la Vallee proposes a wide-ranging gaming offer. The sophisticated tradition of the French games, that made the history of gambling, figure alongside the creative dynamism of the American games. The website for online gambling www.casinosaintvincent.it is up and running again. Totally renewed and better than ever. 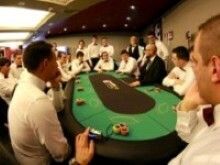 At the Casino, the first themed games zone opened in Europe. The zone is called ‘The Oriental Slot Corner’. Eight themed slot machines are available to our patrons – the number eight being the symbol of wealth in Chinese culture. Casino de la Vallee introducing exclusively to Europe, the one and only Wheel of Fortune. The ‘Wheel of Fortune’, the game made famous by the T.V. show of the same name, has arrived in the games rooms, in the form of six ultra-modern jackpot slot machines that offer you a truly unique experience. There is restaurant and several bars in the casino. Take the motorway Torino-Aosta A5, exit at Saint-Vincent, Chatillon. At the motorway’s exit turn right toward the centre of Saint-Vincent and follow the signs indicating the Casino. Plan your trip on su www.autostrade.it. Every day buses leave from bus stations in Turin and Milan to for arrival at the Saint Vincent Casino. Every day from 14:30 to closing hour. The "Casino de la Vallée" is open daily from 10.30 am for Slot Machines Evolution Room, with the exception of the December 24 that remains closed on December 25 the opening is scheduled at 5 pm. Slot Machines at American Games room 14.00. The opening hours for French Roulette and Fairoulette may temporarily be reduced. this would affect the hour after opening and the hour before closing.